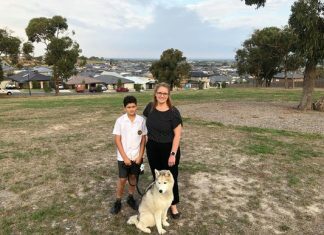 Pakenham’s heart-warming community spirit was showcased on Melbourne Cup Day, with $4792 being raised for the grieving family of Visesio Natoealofa. 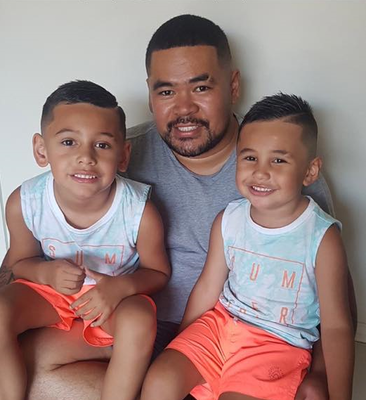 After the 28-year-old was killed during a collision near Ahern Road on Friday 2 November, the John Street barbershop where Mr Natoealofa worked devised a fundraising initiative for his widow and two children. Future Kings opened on the cup public holiday, donating all proceeds towards the Natoealofa family. Owner Tjay Petera, his brother Torryn, and staff volunteered their time and donated all proceeds from haircuts and merchandise sold. Despite the torrential rain, hundreds flooded the store – waiting up to three hours to get a cut. Residents reportedly walked in from the street to make donations in Vise’s honour. In a statement, Future Kings said the day was a roaring success and an appropriate tribute to Vise’s life and legacy. “Thank you so much for each and every person who come out to support this today,” it read. 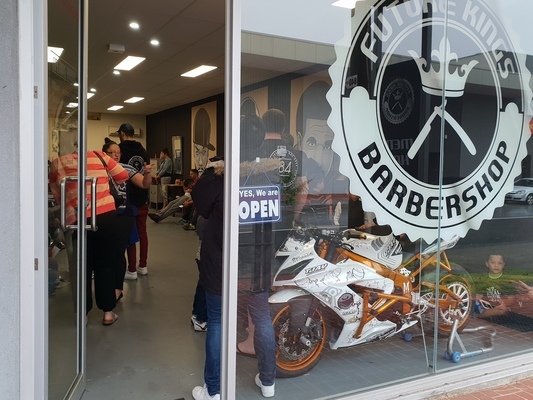 “With a line out the door most of the day, some of you waiting over three hours for a cut. Darren Miles, one of Future Kings’ many Melbourne Cup Day customers, said it was fulfilling to lend a helping hand to the family. “I can’t fathom what it must be like to receive that call about a loved one,” he said. Vise’s sister, Olataga Natoealofa-Matini, has since spoken about her cherished sibling. She remembered him as a kind, generous soul. “Vise was a humble, kind hearted gentleman,” she told the Gazette. “He would do anything for his family, especially his two sons. A GoFundMe for Vise’s family has also raised $800. He will be laid to rest at the Bunurong Memorial Park in Dandenong South on Friday.